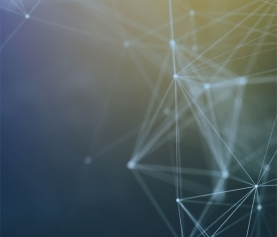 Choosing an electronic data interchange value-added network (EDI VAN) provider is an important decision for any company At the enterprise level the right VAN can either save or waste thousands of dollars a month. Often, companies feel trapped with their current VAN. The prospect of migrating all of their information and starting a new system seems overwhelming. There are a lot of reasons why companies feel the need to switch EDI VAN providers, but support is a big one. Many EDI VAN providers have sub-par customer service while piling on extra fees just to do things like access archived data. Transparent pricing is another problem that organizations run into with their VAN providers. It’s not just archived data fees that are a problem. Many EDI VAN service providers charge additional fees for nearly everything: companies never know how much they’ll spend with their provider on a monthly basis. You might know that switching EDI VAN’s is the best option, but the migration process feels daunting. Unfortunately, many EDI service providers don’t provide a lot of transparency to the migration process either. BOLD VAN is different. Not only do we explain step-by-step how the entire migration process will go, but we do the work for you and handle the migration with little to no service disruption. We’ve been successfully migrating companies to BOLD VAN for years, but don’t take our word for it. Here are three enterprise-level companies that moved their EDI service to BOLD VAN. As a fast-growing business, Spanx encountered problems that are standard when scaling such as B2B communication and supply chain optimization. Spanx began to realize that they were paying too much for the ROI they were getting. Customer service was also a problem with Spanx’s previous VAN provider, and they felt like they weren’t receiving the support they needed when they needed it. Spanx was being charged additional fees to access archived EDI data since their old VAN had a limited window of access for EDI transactions. Other unpredictable monthly fees kept accruing to the point that Spanx knew a move needed to happen. Business relationships and operation stability are extremely important to the whole Spanx team, so interrupting business operations or losing data due to migration was not an option. When Spanx switched to BOLD VAN, we created a testing environment to test data connections and ensure data integrity was protected before the official migration began. The migration process was smooth, and now Spanx is saving 83% on their monthly EDI costs. Spanx is now evaluating their internal processes and using their EDI VAN savings to streamline their operation even more. Learn more about BOLD VAN’s partnership with Spanx. Endust is a leading manufacturer of furniture sprays and dusters. You can find Endust products in every major retail store in the U.S. and Canada. Endust’s diverse supply chain relies heavily on EDI and B2B communication. Retrieving documents, getting timely support, seeing transmitted documents in real time, and quickly accessing archived EDI documents are top priorities for Endust. Endusts’s old VAN provider made communication and clarification with trading partners slow and difficult, straining relationships with them. They also had trouble getting ahold of customer support. On top of all of this, they were paying premium prices for an EDI VAN service that was consistently falling short of their needs. While Endust has an in-house EDI system, they needed a reliable VAN for more support and easier access to archived EDI messages. The migration process for Endust went off without a hitch. Because BOLD VAN’s software is designed for compatibility with custom in-house EDI systems, there were zero delays in service. Endust’s trading partners didn’t even have to be notified that there was a change in service. Learn more about BOLD VAN’s partnership with Endust. Torani sells over 100 syrup flavors, beverage bases, and sauces around the world. Because of their global presence, Torani uses an exponential amount of EDI data every month to ensure efficient operations. 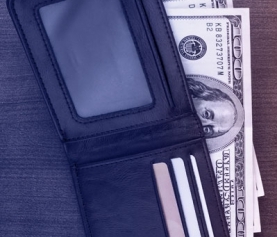 Because of the volume of EDI data Torani uses monthly, they were experiencing massive monthly EDI bills, causing EDI to be an extremely significant business expense – one that needed to decrease as much as possible. Personalized support was also a big problem with Torani’s former EDI VAN provider. Since EDI is not their area of expertise, resolving problems promptly is important but was time-consuming. With fees rising and poor technical support hurting relationships with trading partners, Torani decided to migrate to BOLD VAN to better meet their needs. 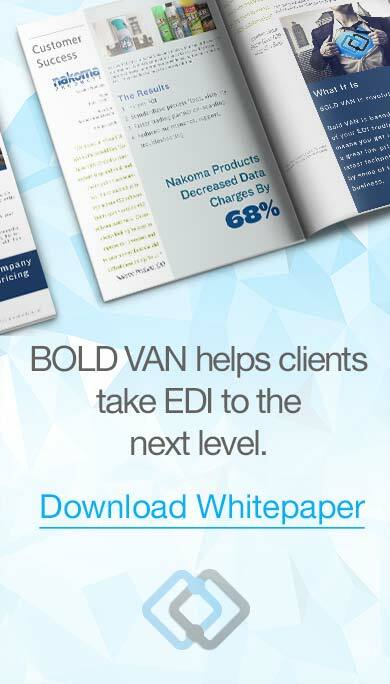 By migrating to BOLD VAN, Torani now has a predictable monthly EDI budget. They’re also enjoying a 54% monthly savings over their previous EDI provider. Learn more about BOLD VAN’s partnership with Torani. From large enterprise organizations to businesses that are just starting to scale, BOLD VAN makes the migration process simple with minimal to zero service disruption. We aspire to be your EDI VAN partner and expert. 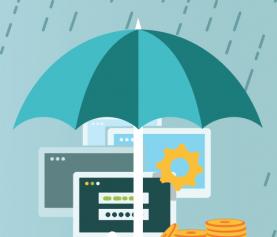 If you’re ready to save money on EDI every month while experiencing world-class support and predictable Trading Partner Pricing, try our cloud-based service free with no commitment today.